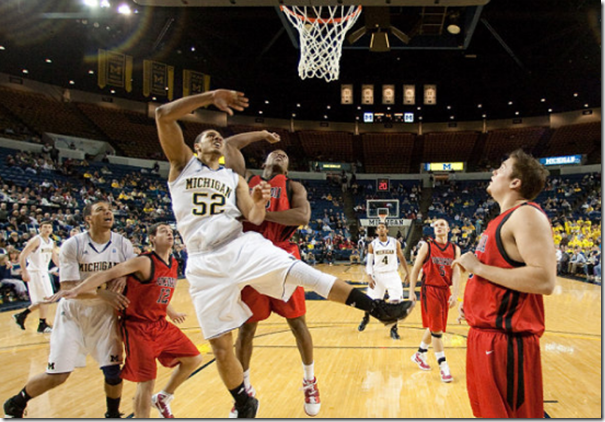 I started this blog because I always have something to say after a Michigan basketball game. The games usually leave me in some unstable emotional state whether it’s shock, anger, frustration, jubilation, or confusion. Tonight’s game might have been one of the most uninspiring Michigan basketball games that I can remember. Nothing about this game felt right. No offense to Concordia, but this game just shouldn’t have been scheduled. The Cardinals played well, Rocko Holmes played the game of his life and deserves all the credit in the world. The sheer difference in talent on the court was obvious from the get-go and everyone knew it – including Michigan’s team. Unfortunately, the Wolverines settled to play some sort of glorified pick up game rather than execute their offense to perfection. There’s nothing to build off of from this game, it just is. It happened, it’s over, and we move on. But hey, Concordia gets a nice check for allowing Michigan to use their gym. The offensive performance was good but relatively nondescript, given the competition. 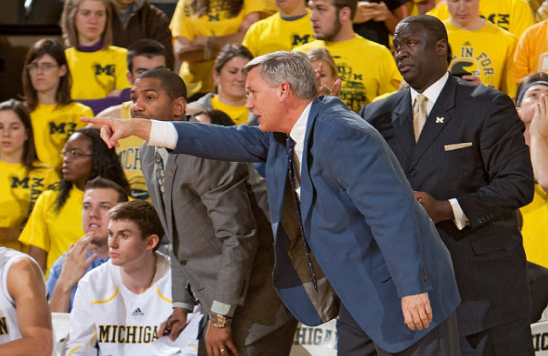 Michigan scored 1.21 points per possession while shooting 53.5 eFG% from the field. The Wolverines didn’t turn the ball over and they controlled the glass. Defensively, Michigan left a little more to be desired. Michigan refused to double team Rocko Holmes in the post, despite being unable to stop him — 29 points on 13 of 19 shooting. For the second game in a row, Beilein mentioned that the Wolverines didn’t double because they feared the opposition’s three point shooting attack (the Cardinals shot 28% from long range). It doesn’t quite add up but it’s clear that Michigan’s interior defenders have their work cut out for them before Big Ten season. Stu Douglass: Douglass continues to have the hot hand from three point range. He netted 13 points on 5 of 9 (3-4 3pt) shooting in 30 minutes. He seems to have really settled into his role. Darius Morris: The monster numbers continue: 19 points on 8 of 15 shooting, 12 assists, and two steals. Morris is playing extremely well and Concordia didn’t really have anyone that could guard him. Even before tonight’s game, Darius had the #5 assist rate in the nation. Jordan Morgan: 23 points on 10 of 15 shooting with 8 rebounds. Morgan probably should have had 30 points because most of his missed shots were layups. He couldn’t really guard Rocko Holmes, which is discouraging, but his offensive feel for the game continues to impress. Zack Novak: Another double double for Novak, who scored 12 points and grabbed 14 boards. Zack’s been controlling the defensive glass and today was not different, 2 of 5 three point shooting will suffice. Evan Smotrycz: Smotrycz, like Hardaway, is in a bit of a rut. He isn’t quick enough to guard smaller guards and he isn’t feeling his shot (1 of 5 today). His other problem on defense is that he stands no chance to guard opposing fives as he plays them straight up with little resistance. Tim Hardaway Jr.: He showed signs of getting involved with a couple of putbacks and a pull up jumper, but he couldn’t find his three point stroke – 0 for 4. Matt Vogrich: 7 points in 18 minutes on 3 of 4 (1-2 3pt) shooting with 4 rebounds. Not half bad from Vogrich, who has started to seem more comfortable. Blake McLimans: Blake didn’t build off his last stronger performance versus Harvard, going just 1 for 4 from the field. Colton Christian: Wasn’t close on his pull up jump shot attempt. Jon Horford: Twisted his knee in practice last night, DNP. Will he redshirt? We shall see.